Choice of colors for Aluminum Frame. QSP-713S Drive Up Transaction Drawer with Speaker. 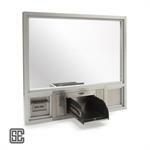 Bank Drive Through Window Package - Pre-designed for ease of planning and installation. 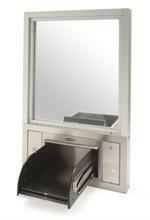 Q-TRAN-713S Drive Through Transaction Station is a pre-designed drive thru combination window/drawer/intercom unit. 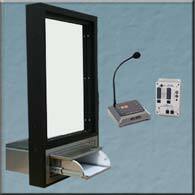 Q-TRAN-619S Drive Through Transaction Station is a pre-designed drive thru combination window/drawer/intercom unit for small item transfer.